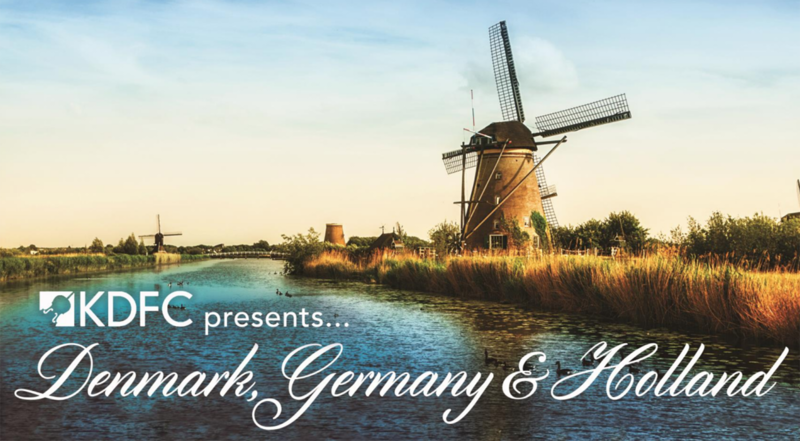 Join KDFC host Robin Pressman on an extraordinary classical journey to Copenhagen, Hamburg, and Amsterdam. Bound to the sea, these three historic cities offer world-class museums and fabulous cultural experiences. In addition, you’ll attend Turandot, performed by the Royal Danish Opera, Nabucco at the Hamburg State Opera and Girls of the Golden West performed by the Dutch National Opera Company. And not to be missed, the Rotterdam Philharmonic! You’ll enjoy three great cultural capitals, leisurely stays, local dining and numerous cultural events. Don’t miss out – join fellow classical music lovers for an extraordinary journey to Copenhagen, Hamburg, and Amsterdam this coming March. Space is limited.